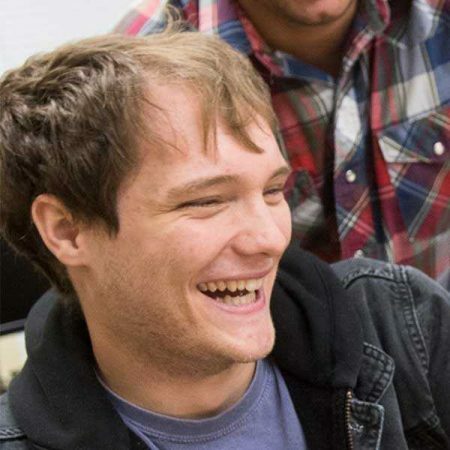 The bachelor’s degree in Computer Science prepares students to excel in the rapidly expanding fields of computer programming, design, and security. The Computer Science curriculum aligns with the national standards established by ABET, the accrediting organization for university computer science programs across the United States. All courses are taught by highly-qualified faculty members who work to provide each student with a positive, personalized learning experience. The curriculum is presented in a Christian context, which gives students opportunities to discuss topics such as professional ethics and how computer science can be used to find creative and compassionate solutions to the problems faced in our world. I’ve been able to spend quality time with my professors, to find out how they solve problems, how they work. That has made it easy to move into my internship at Acer. I’m well prepared for the tasks they have assigned me because most have been problem-solving; it’s been fun because I’m used to doing it in my classes. Why should I choose Computer Science? Whether the setting is business, science, or social engagement, computer science professionals are in high demand for their ability to devise creative technological solutions. Why study comptuer science at UMHB? All students majoring in Computer Science are required to complete a minimum of 300 hours of practical experience while enrolled at UMHB, through full-time employment, part-time employment, internships, apprenticeships, international experiences, or co-op experiences. Professors work to match students to opportunities for paid internships, but students can also seek other positions on their own with approval by CSEP faculty. These internship experiences often serve as stepping stones to full-time employment in the students’ areas of interest after graduation.